October 22, 1930- December 2, 2017 Dolores was born in Milwaukee Wisconsin. She was the youngest of 7 Children. After graduating from High school, she worked briefly in a local hospital as an aide. She joined the Roller Derby in 1949.For the next 16 years she traveled the world with the Derby, becoming one of the best known stars. She was inducted into the Roller Derby Hall of Fame in 2012. While skating in Hawaii she fell in love with the Aloha State and made it her home. She retired from the Derby in 1965 and went to work for Pan American Airlines until it closed in 1999. 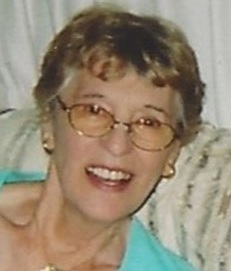 Dolores is survived by her husband of 54 years, Raymond K. Chang and brothers Harry and Ken Doss of Wisconsin, along with numerous nieces and nephews. Service Dec 16, 2017 at Oahu Mortuary. Visitation at 4 pm, service 5 pm Casual attire.